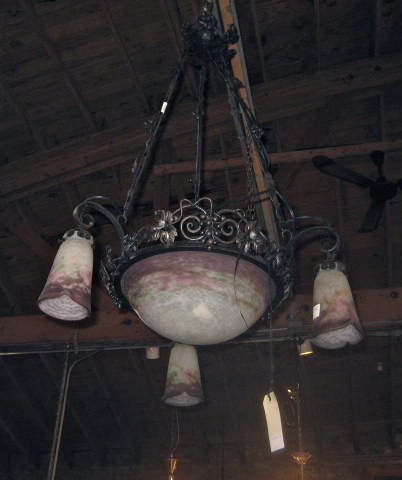 The chandelier has a large center dome with colors of purple, rose, white and a slight ribbon of emerald green. 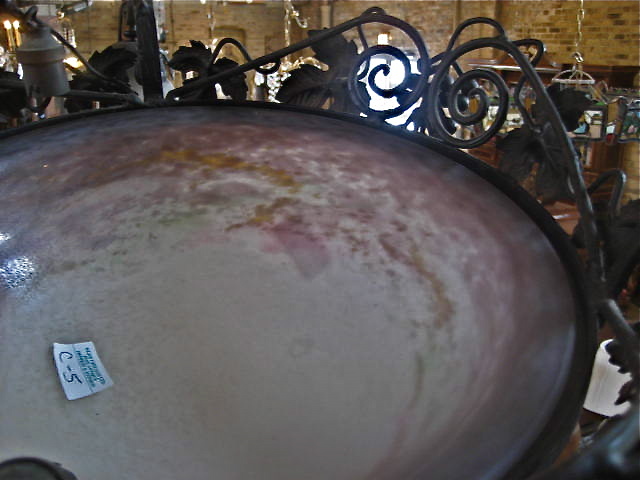 The dome is surrounded by three drop shades in the same colors. 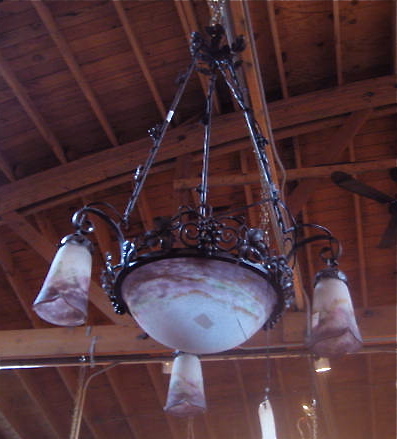 The chandelier is suspended from a three part wrought iron chain with foliate decoration and the same wrought iron trim continues around the center bowl. The shades are signed “Muller Fres Lunville”. SIZE: 34 inches high x 22 inches wide. CONDITION: BEAUTIFUL CONDITION, No chips, no cracks. No problems. The wiring is from France and will not work here in the U.S.A. I have a union electrician who can rewire this for you for 60.00 of you can rewire it yourself. Muller Freres, French for Muller Brothers, made cameo and other glass from about 1895 to 1933. 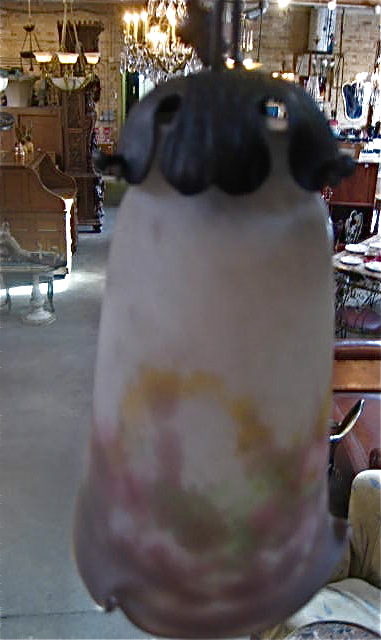 Their factory was first located in Luneville, then in nearby Croismare, France. 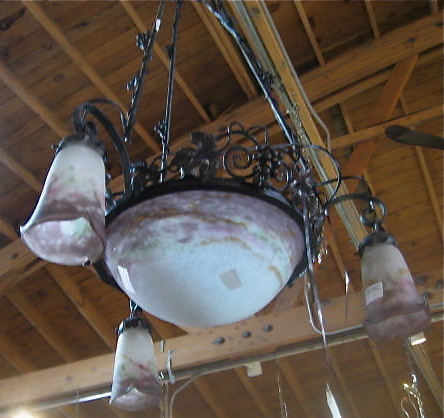 After World War I, the company also made iron and glass chandeliers, vases and other decorative items. 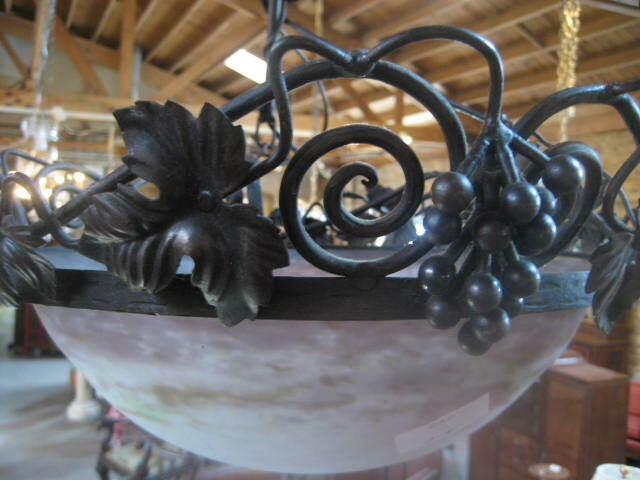 Pieces were usually marked with the company name. Muller Frères were French glassmakers located in LUNEVILLE, France. 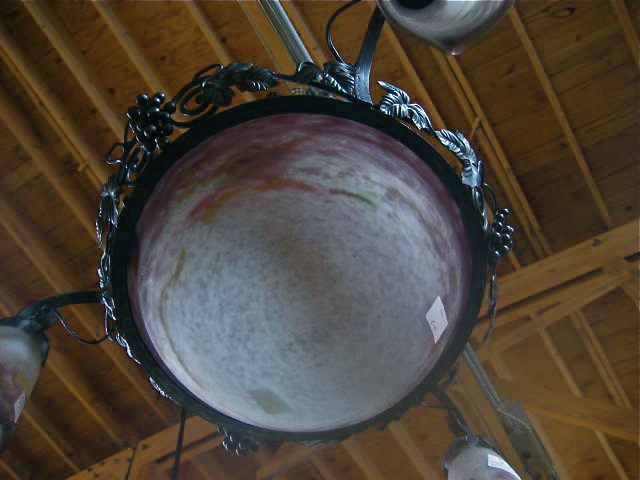 They were renowned to produce ART NOUVEAU glassworks such as vases and lampshades. The Müller family originally came from Alsace. Some members of the family worked together with Émile Gallé before starting their own business.